A thousand acres, a piece of land of almost mythic proportions. Upon this fertile, nourishing earth, Jane Smiley has set her rich, breathtakingly dramatic novel of an American family whose wealth cannot stay the hand of tragedy. It is the intense, compelling story of a father and his daughters, of sisters, of wives and husbands, and of the human cost of a lifetime spent trying to subdue the land and the passions it stirs. 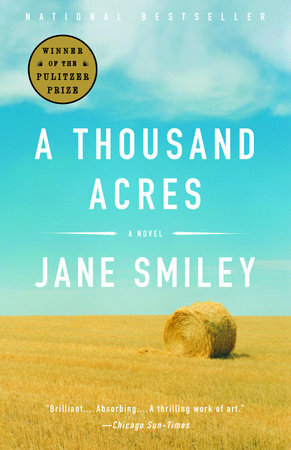 The most critically acclaimed novel of the literary season, a classic story of contemporary American life, A THOUSAND ACRES is destined to be read for years to come.